The Indian Automobile Industry has had a long and often bumpy drive down the decades. One association, however, has smoothly taken every pot-hole and speed-breaker on the way for the past 24 years. It's been a remarkable alliance which stands out in the auto trade - the enduring relationship of Maruti Suzuki India Limited with their first appointed dealership in India. Being fully aware of the competetive market scenario "WE at Competent never stop moving",It takes thousands of passionate, dedicated and talented employees to deliver the buying experience our customers expect and deserve.The Company, Competent Automobiles Co. Ltd. (CACL) is a part of Delhi based Competent group, promoted by Sh. Raj Chopra. The company was incorporated on 11.04.1985 and is a listed public limited company in BSE. The company is a profit making company since inception and engaged in Automobile business. 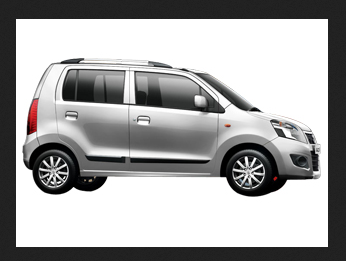 Presently the company has its presence as a dealer of Maruti Suzuki India Ltd. in Delhi, Haryana and Himachal Pradesh. In Delhi the company has 5 showrooms and 3 workshops, in Haryana 2 showrooms and a workshop and in Himachal Pradesh 2 showrooms and 2 workshops. Competent's status is re-affirmed every year at the All India Maruti Dealers' Convention,the company bags maximum number of awards in all categories. Chief among these awards are those for best Sales, Service and Customer Satisfaction. Competent's services have, in the past, consistently won the primary award that really matters to any organisation providing services - The Approval of the Customer. As a testimonial to this, Competent has enjoyed the most repeat customers among Maruti dealers. The company has sold more than 2,50,000 vehicles and the numbers are growing year on year. Competent owes this to the breadth of the vision of Mr. Raj Chopra, who founded the company. Accurately gauging the temper of the Indian customer, Mr. Raj Chopra decided that nothing less than the very best would do - no matter how much it costs/costed in terms of time, effort and expense. Much before "Total Quality Management" and ISO accreditations became fashionable buzzwords in management circles; Competent Automobiles was more than living up to its name. This has enabled the company to fully comply with the stringent norms set by MSIL while other dealers were only gearing up . Competent has been example and trend setter for Maruti Customers.